Governor Ayodele Fayose aborted the burial in Canada of popular Nollywood actress, Moji Olaiya, at the last minute on Friday. Instead, his government has agreed to foot the cost of bringing her body to Nigeria for burial, according to various reports. The popular actress, 42, suddenly died on Wednesday following cardiac arrest, two months after she gave birth to her second daughter. Her eldest daughter, Adunola, 18, had insisted that her mother’s corpse should be brought back to Nigeria. ‘She must be brought back. ‘I don’t care what anybody says, I just want my mother’s body’, a grieving Adun had said on Thursday. 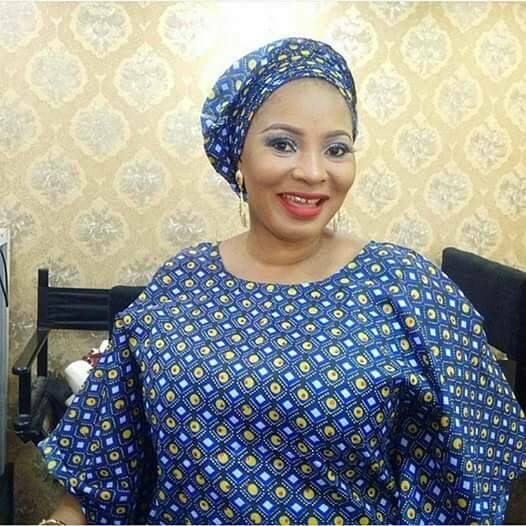 Faithia Williams Balogun was named yesterday as chairperson of a 10-man burial committee, that also included a host of Nollywood acts. Moji was the daughter of veteran highlife musician, Victor Olaiya. Her death was a complete shock to Nollywood, stirring emotions and tributes from her colleagues. Moji’s housekeeper, identified as Mrs. Keji, suggested in an interview that the actress’ sudden death could be a spiritual attack. Three days to her death, Moji reportedly complained of “being uncomfortable”. “Her baby was born premature— her EDD was for May 2017 but complications arose that necessitated that she be induced to save the baby’s life as well as hers. But since the delivery in March, her health had not been exactly perfect,”Premium Times reported Keji as saying. She said that around 10 p.m. Canadian time (3 a.m. Nigerian time) Moji went into a crisis. “Her blood pressure shot up and she became unconscious. An ambulance was called to transport her to the hospital. But her case worsened and she gave up the ghost before they could make it to the hospital,” She revealed.